Wondering what gear you need to survive anything? Wired just published their Survival Handbook and Naked Filter made the list! 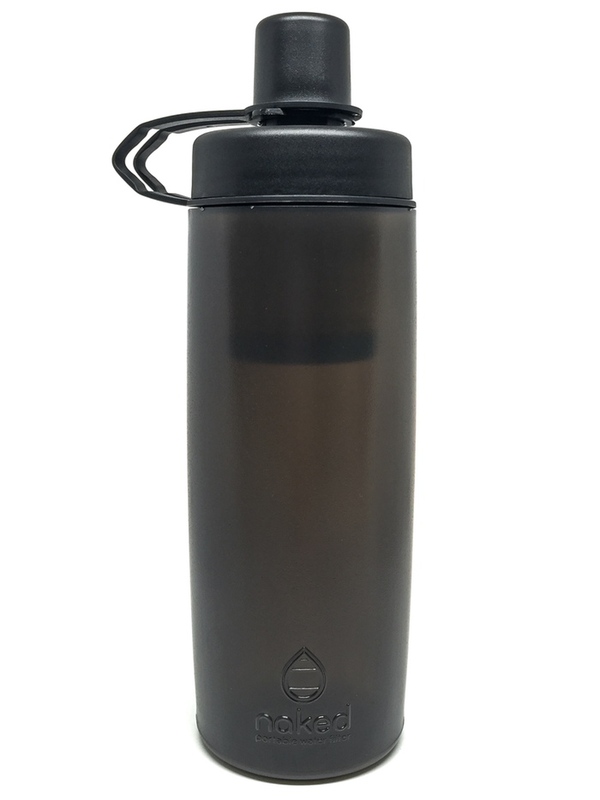 Order a Naked Filter bottle here. "Keeping emergency go-bags in your house and car is obligatory, but what if disaster strikes while you’re at Baskin-Robbins? That’s where a philosophy called Everyday Carry comes in. You should keep basic tools on hand at all times. This gear can help you deal with disasters or just the little twists and turns of normal life. The best part: It all fits seamlessly into whatever clothing you typically wear." Check out the full list of gear in the Wired's Survival Handbook here. 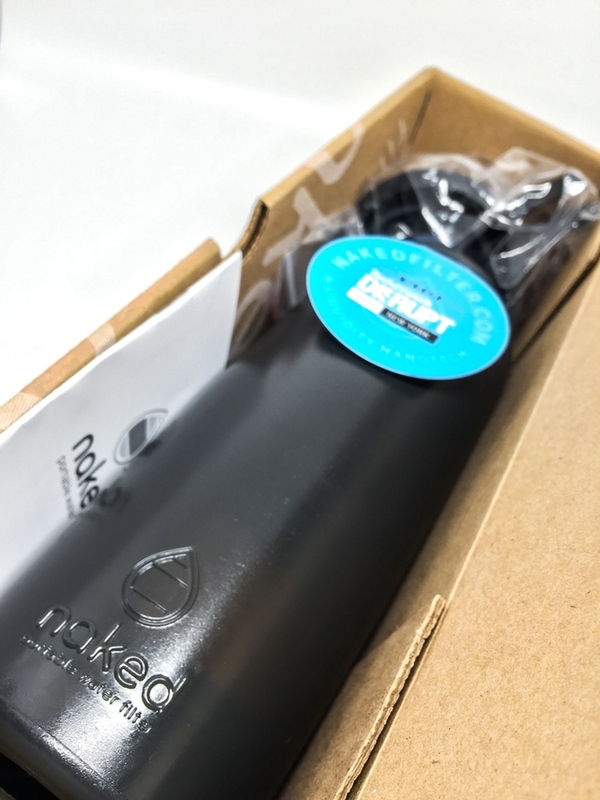 Order your Naked Filter today! This is not a test. The time has come and we are ready to fulfill orders! As you can see in the images below, we’ve upgraded the bottle design. We added a “rib” to create a “neck” in the bottle. This increases the rigidity of the bottle and improves the seal of the bottle lip to the bottle cap. We expect this upgrade, along with the modifications to the cap we described earlier to result in strong seal and minimize the chance of leaking. The result: better performance for you. We hope you’ll be pleased with the drinking experience. We will be receiving components periodically over the next 6 weeks and the final assembly/packout will take place at our headquarters in Alameda, CA. It may take up to 8-10 weeks from now to receive your reward. You will receive an automated email from our shipping system with a USPS tracking number when your reward ships. Thanks for your patience, as we got this bottle right for you. They say success is 1% inspiration, 99% perspiration — but that probably underestimates the perspiration part. We are shipping you this bottle with great pride and with deep gratitude for your support. Thank you for your continued support and enthusiasm for our product. We know you are eager to receive the product. Believe us, we are eager to ship it! Since our last update at the end of October, we’ve been working crazy hard to finalize the product. We take our responsibility to our customers seriously. The filter you pledged for removes 99.9999% of bacteria and cysts (including e.coli, cryptosporidium, giardia and many other contaminants) from your drinking water and is good to the last drop. To guarantee that high standard, we are testing every single one of the filters in our lab in Alameda, California. This is a challenging process that required us to create new test procedures and purchase new equipment. We are committed to your safety and health. Modifying the molds takes some time, and then we need to validate the upgraded seal. We are committed to doing it right. Therefore, we don’t want to announce specific shipping times for your rewards until we are totally confident about the improved design. We’ll let you know right away when we lock down dates. 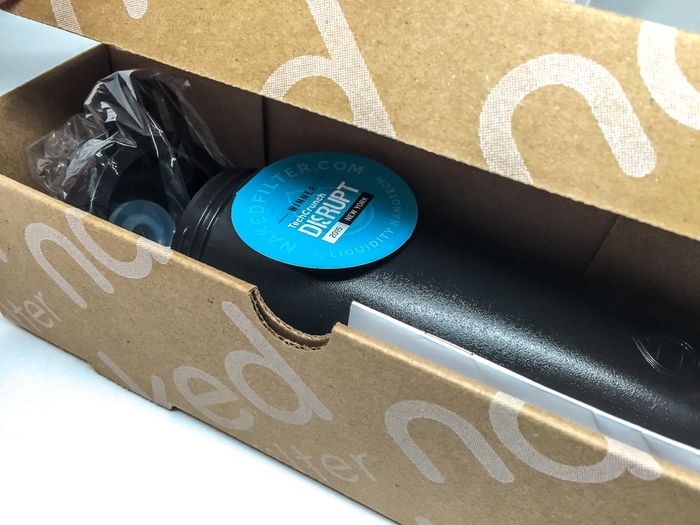 As the filter is working great, field testing showed a high percentage of satisfied users, and the leaks are incidental, we decided to fulfill our promise to the “Naked Evangelist” (early-bird) backers by fulfilling their rewards now. This gives them a special opportunity to try the Naked Filter in its current version. We will follow-up with them to make sure they are satisfied with the product. We are hopeful that the upgrade to the sealing mechanism will result in a great final product and allow us to begin fulfilling all rewards soon. We will keep you updated as we make further progress. Thank you again for believing in us and our mission to bring clean water to every body. Water below cap shows the leak. We are upgrading the interface between the cap and the bottle to eliminate 100% of the leaking. The Liquidity team has been working tirelessly the past few months and we would like to thank everybody who has recognized the potential of the Naked Filter. Even though we have been working around the clock, our original projected ship date has been pushed back due to unavoidable circumstances. 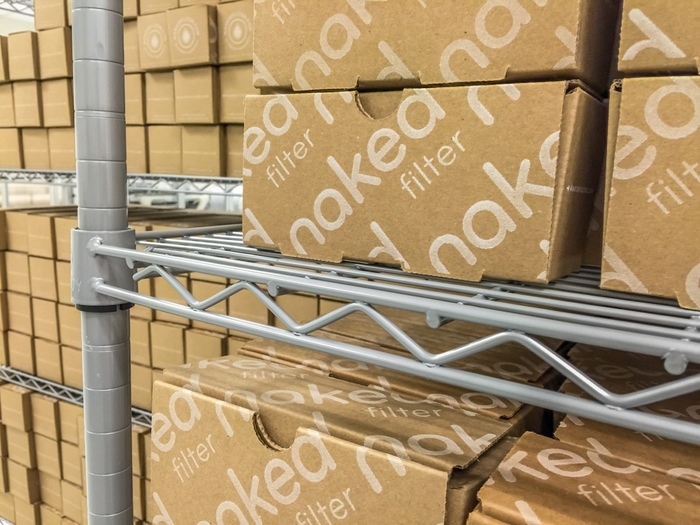 All of you who preordered the Naked Filter continually inspire us to push back on these setbacks and launch the best product possible, as quickly as possible. 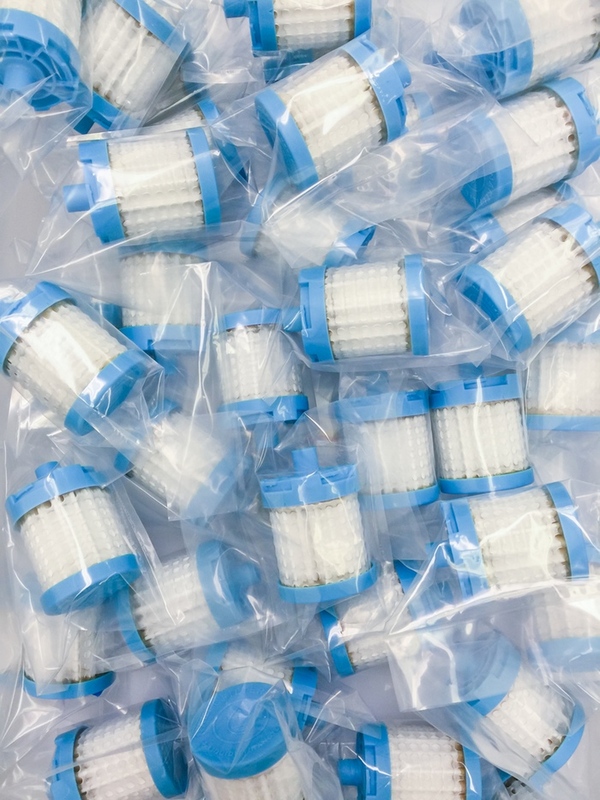 We are excited to announce that we are now working through the last steps of production and verifications of our product which will lead to the shipping phase. In order to keep your email inbox clutter-free, we'll be posting updates via theblog on our NEW website, which we just launched today!. In the mean time please follow us on Instagram, Facebook, and Twitter for more regular updates. Cautionary tale of the impending water infrastructure crisis in the U.S. Excellent article and great read for anyone interested in understanding the state of the U.S. drinking water infrastructure: "Aging pipes are poisoning America's Tap Water"
Thanks to the Alamedan for the coverage. We are proud to be manufacturing right here in Alameda, CA!